One would think that being a respectable bourgeois woman of the suffrage movement as well as other Progressive causes, as well as a devout Christian, would make someone like Ida B. Wells a shoe-in for public and secondary school history on righteous early 20th century women who fought for social change. Wells should be right up there along with Susan B. Anthony and Dorothea Dix. Heh, except of course she isn’t. Why has she been erased from white education so thoroughly? I can only reflect on her scathing indictment in Southern Horrors, which so precisely lays out the particularly Southern construction of white men and white women, black men and black women, and their respective positions within lynching narratives in brutally honest psycho-sexual terms. Perhaps it was also her willingness to call out white feminists on their anti-black crap; to never hesitate to own her rage and direct it at powerful white men. In any case, Wells deserves re-reading and her voice (she was a great writer as well as a powerful lecturer), needs to be heard by white Amerika once again, in this time when police brutality and white reactionary activities are at the forefront of national discourse. Wells was a crusader. 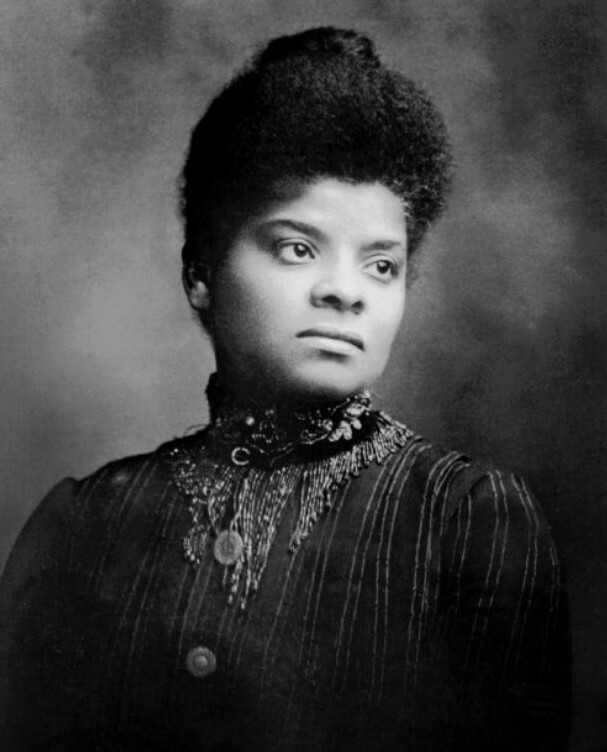 She had a fascinating intellectual relationship and correspondence with Frederick Douglass. In disguise, she moved about Memphis and the rest of the deep south to do some real journalistic work. She crashed the 1913 World’s Fair in Chicago. All of her work as both an organizer and an agitator on behalf of the victims of southern terrorism, or the poor urban black people in the North, and against patriarchy, was rooted in her faith as well as her rhetorical call for the US to truly, truly embody the values of civilization and egalitarian humanism. It was the perfect kind of campaign for this Reconstruction-era milieu. And because of her committed spiritualism, we should take it very seriously when she says “The white man’s dollar is his only god.” Her antilynching analysis is a bedrock for an intellectual historian’s understanding of race politics in this era. Yet as respectable as she was, Ida B. Wells remains too dangerous for white hegemony.